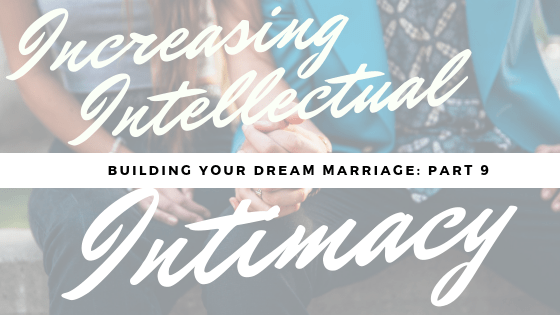 Ways of increasing intellectual intimacy include finding activities to enjoy together with your spouse but having great conversations is the single best way to develop and increase intellectual intimacy. In this short video, we talk about specific things you can do to create more meaningful conversations. Carrie also shares a secret method she and Jim use to tactfully avoid interrupting one another!